Cake Pop Meetup in Orlando; Register Today! 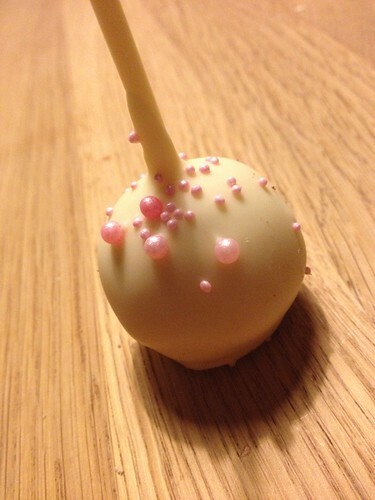 Kim Celano of KC Bakes is organizing a meetup for Cake Pop enthusiasts in the Orlando area this spring. If you are interested in attending, please fill out the FLCPMU Pre-Registration survey on KC Bakes' website. Surveys are due by Saturday, February 1st. Registration information will be emailed on Wednesday, February 5th. Note: Due to limited space, preference will be given to Florida residents and experienced cake poppers. What is considered "experienced"? You don't need to be a full-time cake popper or have a business, but attendees should have a general knowledge of how to make cake pops. If you're not from Florida, but are interested in attending an upcoming KC Bakes Cake Poppers MeetUp. Please fill out the Meetup Interest Form & follow @KCbakes on Instagram for announcements.